This post is very behind the times, I apologise. At this point, I'm mainly writing it for my future self as a reference. 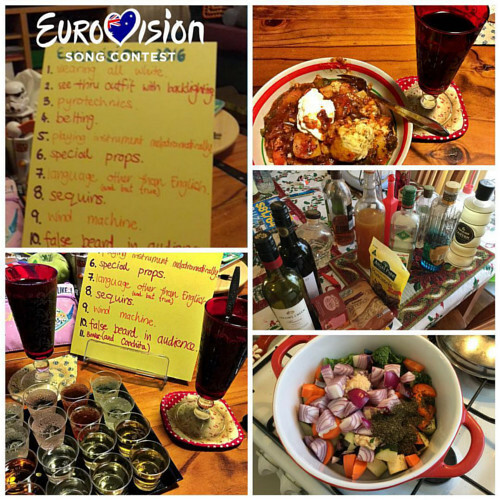 Over the last few years our (that is, Husband's* and mine) celebrations for the Eurovision Song Contest have become increasingly elaborate. 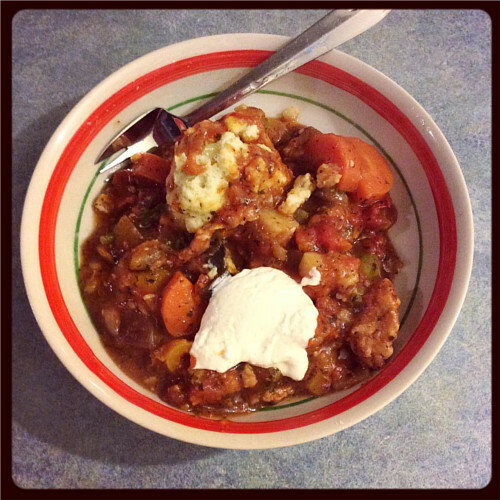 We both love cooking and trying new cuisines, plus the weather is just starting to cool down here in Australia, so it's the perfect time for cooking, eating and drinking. 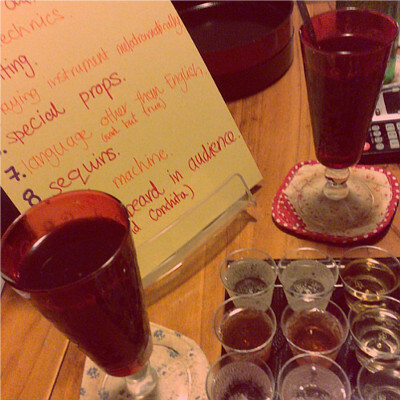 And of course, there was a lot of drink, both inspired by the selected countries, and just in general. 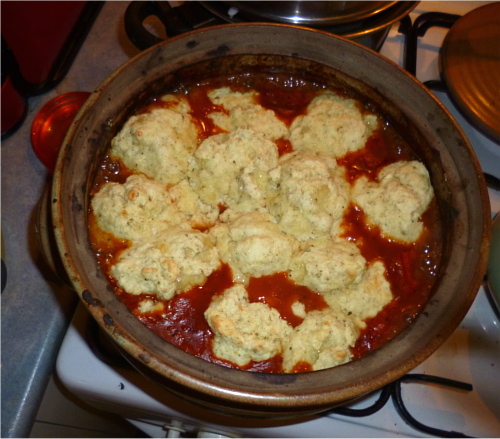 On Friday night, we had Bulgarian Güveç, a meal cooked in a claypot. I got a little confused and thought the meal had to consist of pork and vegetables, but it turns out that it can have almost anything in it, as long as it's cooked in the claypot. Husband found a recipe with a tomato and mint sauce, and it was delicious. He also made blue cheese dumplings as we had some cheese that needed using up. They went very well with it. We drank mulled wine with almonds and raisins. 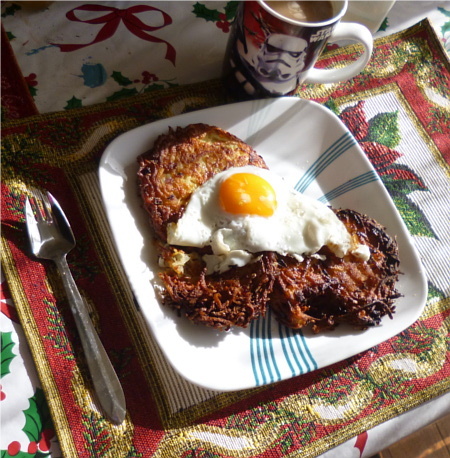 Saturday morning we had Swiss rösti with eggs for breakfast, and leftover stew for lunch. 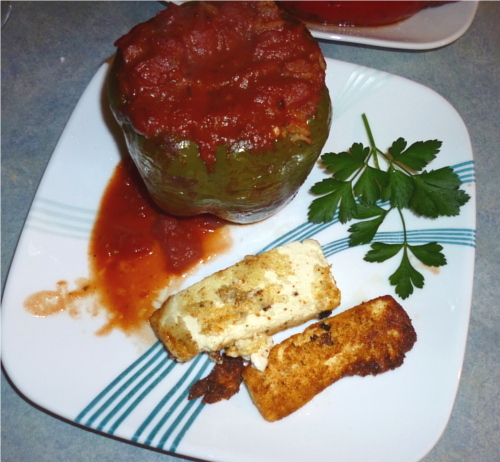 We made rice-stuffed capsicums for dinner, accompanied with crumbed and fried feta cheese (called sirene pane). Both of these dishes are from Bulgaria. 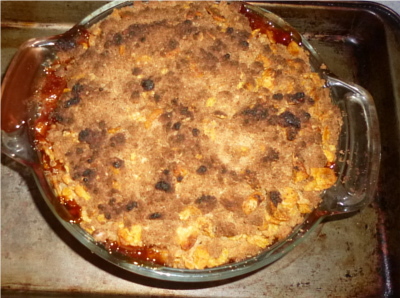 For dessert, we had a fruit crumble. We used stewed apricots, which came from our own tree and I froze last Summer. To accompany this, we had orange vodka which I made from this recipe from Kaninchenherz. I didn't take any photos of the procedure as I was too excited, and my hands were covered in juice! But it turned out looking exactly like the pictures in the recipe. On Sunday, we slowed down a bit with the food and had some cold meats, dips and cheese for brunch, which lasted through until dinner. 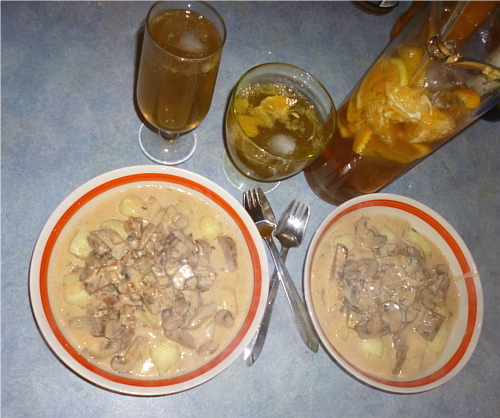 For dinner, we had Zürcher Geschnetzeltes, a Swiss dish, which consists of veal and mushrooms in a cream sauce. It was accompanied with gnocchi, which some sources say was invented in San Marino. It was our first time making it ourselves. It was a lot of fun and not as hard as I thought it would be. 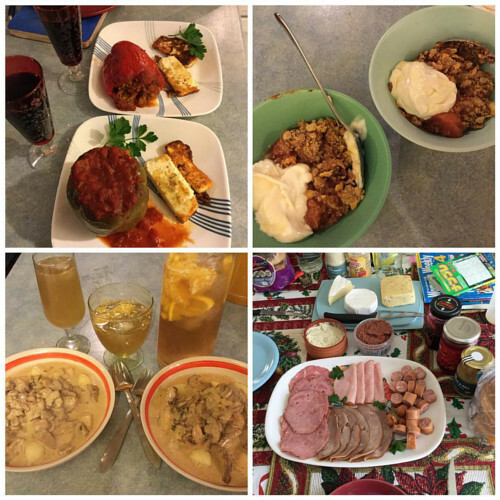 We had orange-infused vodka again with dinner, and leftover apricot crumble for dessert. * I asked Husband about a month ago if he'd like to me to refer to him by a nickname etc on the blog. He said 'Husband' was perfectly fine by him. So there you go.